Whether you realize it or not, the partial government shutdown probably affects your life in some way. Sure, it may not be hitting you where it hurts (your pockets, of course) if you’re not a federal employee, but it is to blame for longer lines at the airport, national parks overrun with garbage and human waste, craft beer release delays, and it’s coming for your pantry next. 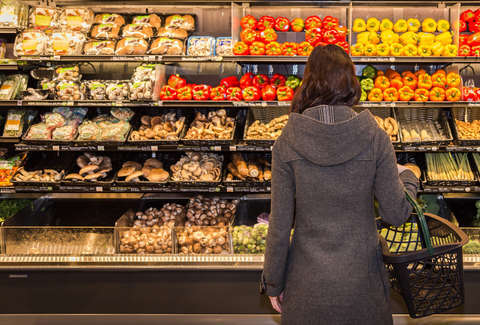 With federal workers off the job, a sudden lack of Food and Drug Administration (FDA) inspectors -- you know, the people who check for unsanitary conditions, insect infestations, salmonella, and E. coli -- could put American consumers at risk of food-borne illness. No big deal. Thanks to the shutdown, the agency has suspended routine inspections of domestic food-processing facilities, FDA Commissioner Scott Gottlieb told The Washington Post. Gottlieb’s currently whipping up a plan to resume inspections at facilities that handle soft cheese or seafood, which tend to have the most problems, but hasn’t said what the plan is for others. We suggest you eat with caution in the meantime (maybe avoid romaine?). “We are doing what we can to mitigate any risk to consumers through the shutdown,” he said. While that may seem like a given, the current administration doesn’t seem overly worried about potential threats to the American people lurking in their kitchens. Maybe that’s because some of them are surviving on Quarter Pounders and Fried Apple Pies. Just a guess. Gottlieb revealed that the agency didn’t have much say in whether they’d cut inspections or something else. Legal guidance from 2013 states that the FDA can’t conduct regular food inspections during times when funding is tight. After axing more than 50 high-risk inspections, however, he received new guidance that could allow him to call back about 150 furloughed inspectors to focus on important facilities, which is good news… sort of, anyway. Employees will not be paid until the shutdown ends, however. Gottlieb claims he’s trying to lift some of the financial burden on inspectors by establishing a central FDA travel account, to help employees avoid large balances on personal credit cards to cover coming to and from work during this time. The FDA is still inspecting foreign manufacturers, imported products, and any domestic producers previously subject to recalls or outbreaks. Meanwhile the US Agriculture Department, which operates alongside the FDA to inspect meat, poultry and egg products, continues to work to ensure that you can get your lean meat or protein fix without a side of sickness, according to a shutdown plan from the USDA. President Trump has shown no interest in ending the shutdown anytime soon, so expect the fallout to continue.